At one time, Hawai‘i had more than 400 fishponds throughout the islands; chiefs were considered wealthy if they had fishponds within their ahupua‘a (land divisions.) The greater the number of fishponds, the wealthier the chief was considered to be. The Hawaiian walled fishpond stands as a technological achievement unmatched elsewhere in island Oceania. Hawaiians built rock-walled enclosures in near shore waters to raise fish for their communities and families. It is believed these were first built around the fifteenth century. Only in Hawaiʻi was there such an intensive effort to utilize practically every body of water, from seashore to upland forests, as a source of food, for either agriculture or aquaculture. The ahupua‘a of Ka‘ono‘ulu is one of six major Kula land divisions which extend from the ocean to the upper reaches of Haleakala. Ka‘ono‘ulu is situated near the center of the Kula District, with Pulehunui and Waiakoa to the north, and Waiohuli, Keokea and Kama‘ole to the south. 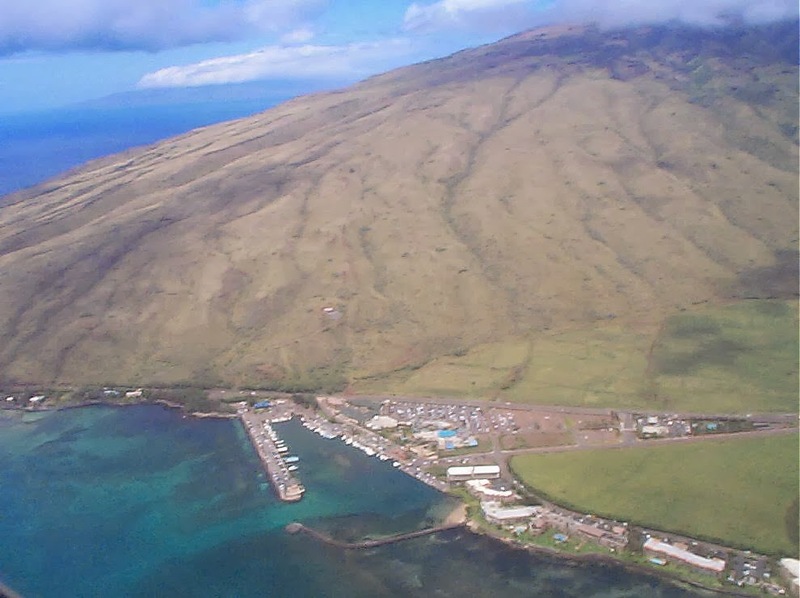 The presence of fringing reefs along the shoreline of the Kihei area was one factor which permitted the construction of three, and possibly four, fishponds along the shoreline of the Kula District (Kula Kai,) Maui. In building the sea walls men were stationed in long lines, passing stones by hand from the rocky sidehills miles away to the workmen laying the courses for the walls in the sea. Ko‘ie‘ie Loko I‘a (fishpond) (also called Kalepolepo Fishpond) is the smallest and northernmost of three documented ponds that were present in Kula Kai. Immediately south of Ko‘ie‘ie is Waiohuli Kai Pond, and Keokea Kai is south of that. The presence of these fishponds would have significantly increased the economic potential of the coastal Kula area, which received relatively little rainfall (average of 12 inches annually.) In general, the Kihei area was not particularly well suited for intensive traditional agricultural. Like many other Hawaiian fishponds first use of Ko‘ie‘ie is associated in oral tradition with the menehune, a mythical race of people who were the first occupants of the Hawaiian Islands. Another important historic figure, who saw first-hand the contrasts between tradition and westernization, is associated with Kalepolepo. David Malo, who was among the first generation of Christian ministers, lived there as overseer of the pond and as the religious guardian of the place and its people. Malo expended considerable energy in improving the local community. He was an industrious individual who quickly learned western technology and put it to practical applications. Malo was either living at Kalepolepo, or frequently visiting from Keokea during a ten year period (1843-1853.) He built Kilolani Church, completed in 1852. Malo died in 1853 and his body was returned to Lahainaluna for burial. Associated sites adjacent to the pond included western trading interests at Kalepolepo between c. 1850 and 1860 of John Halstead and other American traders that settled there. These focused on the whaling and maritime trading industries, and co-existed with the continued traditional activities that focused on fishing and maintaining the ponds. Halstead built a large Pennsylvania Dutch style house entirely of koa next to the south wall of the pond, and opened a trading station on the lower floor. Whalers came ashore to buy fresh produce that was brought in by the farmers via the Kalepolepo Road. Kula produce was also shipped out by Halstead to California during the gold rush era. During this period, Hobron’s interisland schooner, Maria, made regular stops (c. every 10 days) at Kalepolepo, on its route between Honolulu, Lahaina, Makee’s Landing (Makena) and Kawaihae. This area was visited by Kamehameha III, IV and V between 1850 and 1870. Halstead’s house served as the social center during these visits. He moved upcountry to ʻUlupalakua in 1876 and died there in 1887. The koa house remained standing until it was burned down in 1946 by the Kihei Yacht Club. The beach area at the northern end of the pond wall is now owned by the County of Maui, along with a small parcel fronting the central portion of the pond. The County Park is the principal access area to the pond, although people may easily walk in along the shoreline from either side. The site is a popular fishing area, particularly for net throwing and catching small fry bait fish. The shallow, calm waters of the pond are used for swimming. At about age 15, George Vancouver joined the navy and spent seven years under Captain James Cook when Cook commanded the first European exploring expedition to visit the Hawaiian Islands, on Cook’s second (1772-74) and third (1776-80) voyages of discovery. During those expeditions, Captain George Vancouver returned to Hawaiʻi three times, in 1792, 1793 and 1794. There, he completed the charting of the Islands begun by Cook and William Bligh. He met with Kamehameha and exchanged gifts. When Kamehameha came aboard the ship, taking Vancouver’s hand, he “demanded, if we were sincerely his friends”, to which Vancouver answered in the affirmative. The farewell between the British and the Hawaiians was emotional, but both understood that Vancouver would be returning the following winter. During these trips, Captain George Vancouver visited Maui; he first landed in Māʻalaea Bay on the Kihei shoreline. Gibson (November 28, 1904 – July 17, 1986 – nicknamed the “Bull of the Woods”) was a lumberman, politician, seaman, hotelier and author. In the 1920s, he and his brothers ran the Gibson Lumber and Shingle Company. Later, he visited Maui and built a home in Kihei – he called it Fort Vancouver. Reportedly at his resort, Gibson had a totem pole which he had arranged to fly out from Nootka Sound, Canada to Maui. At its base was an inscription written in concrete that claimed that it was the first totem pole to fly the Pacific. The image shows the Vancouver Memorial at a time that it had the Canadian Totem poles. In addition, I have added other related images in a folder of like name in the Photos section on my Facebook and Google+ pages. Māʻalaea is part of the land division called Waikapū, which originates in one of four valleys created by streams known as Nā Wai Eha – The Four Waters. Those famous streams carved the steep ridges and gullies of four valleys of the West Maui mountains – Waikapū, ‘Īao, Waiehu and Waiheʻe. After Kamehameha conquered Maui in 1795, the district of Waikapū was given to Ke‘eaumoku, one of the “four Kona Uncles” who had been his main supporters. When Ke‘eaumoku died in 1804 it went to his son, Kahekili Ke‘eaumoku, and on his death in 1824 to Kuakini, then to Leleiōhoku in 1844. During the Great Māhele of 1848, some Land Commission Awards (LCA) were granted in Kamaʻalaea. The area of Kapoli Spring, at the western end of Māʻalaea, is traditionally said to be the site where the high chiefs landed by canoe and been a landing point for centuries. Two large boulders are nearby; one is known as Pōhaku O Maʻalaea, situated along Kapoli Spring. One stone is recorded as a pōhaku piko, while the other stone, known as the “Kings Table,” was used for either food preparation or adze grinding. Both stones have been moved from their original locations. Stories tell of Kihapiʻilani landing here on his return to Maui, after he had fled Lānaʻi following a fight with his brother Lonoapiʻilani. Kihapiʻilani and his wife supposedly met people with bundles “going down makai to the shore to trade some food” at “Kamāaʻalaea,” another name for Māʻalaea. In the early-1790s, Captain George Vancouver visited Maui and brought the first cattle and root vegetables to the island. 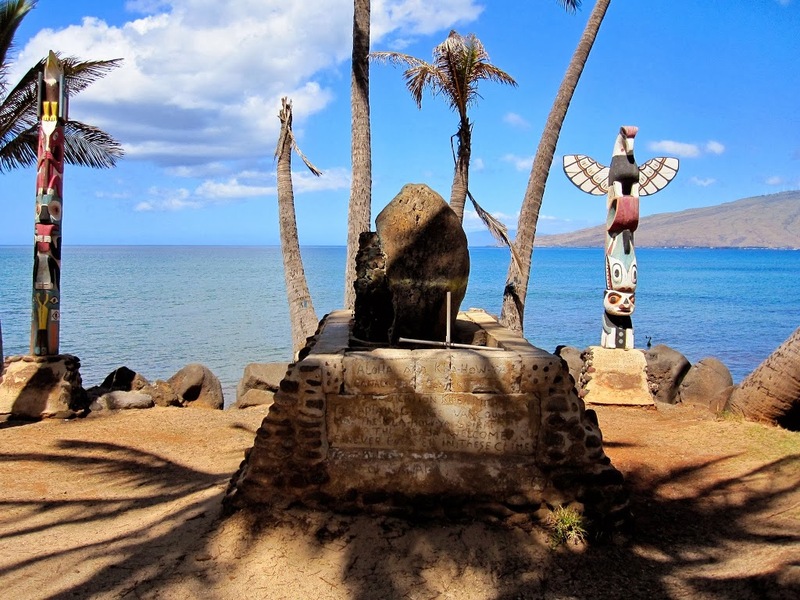 A memorial, with Canadian totem poles, to Vancouver was erected by Canadian J Gordon Gibson near the initial landing site, across the bay at Kihei. McGregor ordered the anchor dropped for the night. With the light of the morning, McGregor awoke to find that he had discovered an excellent cove with a protecting point. The point, just over a mile southwest of Māʻalaea Bay, continues to bear his name. In 1877, Wilder Steamship Company initiated passenger and freight service between the Hawaiian Islands. At that time, there were few navigational aids, so the steamship company was forced to erect lighted beacons for the safety of its own vessels. One of these private aids was placed at Māʻalaea Bay in the 1880s and was an ordinary lantern, fitted with red glass and displayed from a post. In 1903, land was acquired on McGregor Point and a light was placed on the point to replace the one at Māʻalaea. This was later upgraded in 1915. The area is known for another famous landing. On February 18, 1881, The “Beta” under the command of Captain Christian L’Orange, an early plantation owner who, under a commissioned from King Kalākaua, landed 600-Scandinavian immigrants who had signed on to work in the booming sugar plantations. Around 1900, the Lāhainā Pali Trail fell out of use when prison laborers built a one-way dirt road along the base of the pali. In 1911, a three-ton truck was the first vehicle to negotiate this road, having a difficult time making some of the sharp, narrow turns. Over the years, the road was widened and straightened until 1951, when the modern Honoapiʻilani Highway cut out many of the 115-hairpin curves in the old pali road and a tunnel cleared the way through a portion of the route. This was the first tunnel ever constructed on a public highway in Hawaiʻi – built on the Olowalu-Pali section of the Lāhainā-Wailuku Road (now Honoapiʻilani Highway,) completed on October 10, 1951. The tunnel is 286-feet long, 32-feet wide, and more than 22 feet high. (Schmidt) Today, a remnant of the old trail is a recreational hike – five-miles long (from Māʻalaea to Ukumehame (the ahupuaʻa adjoining Waikapū)) and climbs to over 1,600-feet above sea level. In May 1944, training for the assault on Saipan were held at Māʻalaea Bay and Kaho‘olawe. The Fourth and Fifth Marine Divisions also used the area for joint ship-to-shore training and amphibious landing practice before the 1945 battle of Iwo Jima. The Māʻalaea Bay area furnished an antitank moving-target range, a close-combat range, and a 20-point rifle range. The beach at Māʻalaea Bay was fortified with pillboxes and emplacements modeled after the Tarawa Beach. Today, Māʻalaea remains as a boat landing area. The present Small Boat Harbor facilities were first developed by the Territory in 1952 and improved in 1955 and 1959. The harbor, under the control of DLNR-DOBOR, has approximately 30-berths, 61-moorings, boat ramp, a harbor office, a dry dock, a restaurant and a boat club. Within the Harbor is the Māʻalaea Ebisu Kotohira Jinsha (completed in 1999, it is a replica of the original shrine built in 1914.) Ebisu is one of the seven lucky deities and the guardian god of fisherman and merchants; kotohira means ‘fishermen’; and jinsha means ‘shrine.’ This traditional Shinto fishing shrine on the shore of Māʻalaea Small Boat Harbor was originally located on the site of the Maui Ocean Center. McGregor Point Lookout is a popular vantage point for seeing humpback whales from land. From this vantage point you have a sweeping view of the ocean. Humpback whales arrive in Hawaiʻi over a six-month period, with the best viewing months from mid-December through mid-April. The image shows Māʻalaea. In addition, I have added related images in a folder of like name in the Photos section on my Facebook and Google+ pages.